At Casa Gomez, 80% of the finances are handled by yours truly, and 20% by my wife, Jessica. I mostly handle paying the bills, the mortgages on our properties, and writing out checks on accounts that are not on automatic withdrawal payment. Jessica handles the budget, gathering info from me on how much was paid to X, Y, Z, and so forth, and letting us know if we're on or off budget. The pros to this arrangement is that it forces us to communicate. The right hand must talk to the left in other words. But there is a scary downside. I'll get to this later. 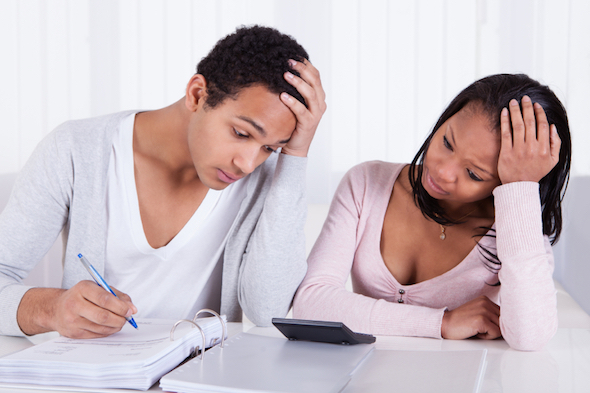 How do you and your significant other handle your household finances? First, a survey conducted by TDBank found that many couples maintain separate bank accounts, and 42% of couples have a joint account while also keeping individual accounts. My wife and I don't keep any separate individual accounts. When she logs onto Wells Fargo she basically sees what I see. In my opinion, couples who maintain individual accounts along with one joint account have financial trust issues. Newlyweds are another story; they need time to get their financial house in order. 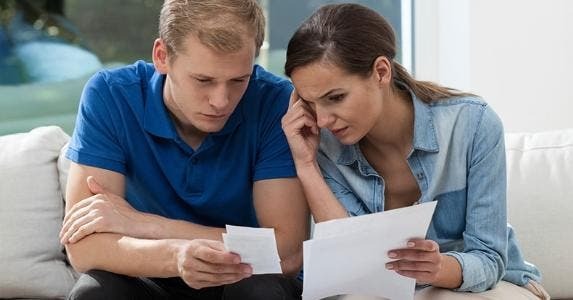 The drawbacks of having a joint bank account include resentment over how it is used by one partner, for example, the money is used to buy things the other partner doesn't consider necessary. Or resentment by one partner over having to pay for the other partner's debt. This one doesn't make any sense to me. Shouldn't you have discussed each other's debt scenario before getting married? If your partner's debt was an issue you couldn't live with, why did you agree to get married? So...be supportive and help them pay it down! Finally, a drawback to keeping just one joint account is divorce since both partners have equal access, and can at any time withdraw all the funds and walk out. Cold! But it happens. If you're in a solid relationship (like my wife and me) and you don't worry about cheating, divorce, etc., then a joint account makes all the sense. My money is her money, and vice versa, no matter who brings in the most cheddar in the family. Jessica and I have spent time talking to each other about what types of purchases one can make, and anything over $100 that isn't food, we talk prior to the purchase. We're both good about that. In other words, we're on the same page and I trust her completely (she trusts me completely) not to go gambling, or on a shopping spree for clothes, expensive watches, jewelry, and so on. I know we are not the only couple that lives this way. There are thousands in this country who operate in a similar fashion where one person handles most of the finances while the other takes on part or none of the role. And this can be dangerous, not to mention stupid. So a couple of days ago, a cyclist was hit by a drunk driver and died of his injuries here in Oceanside. He was on a bike lane (and road) I constantly use myself. Now I know I take the risk of getting hit by a car every time I cycle along the road. Obviously we all take risks every day. Driving is a risk. Heck, getting out of bed is a risk! My point is that at any time, you or your partner can die, and if only one of you knows where to find an account number for lets say, a credit card, then how are you to put your partner's financial affairs in order with any ease? You'd be hard pressed to do so. 1. Email any people you communicate with about accounts and let them know to include your significant other in any communication from now on. Provide these services with your partner's name, email, and phone number. For example, I emailed the person assigned to me at my property management company for my rentals. I let her know to include my wife in all matters from now on. I also emailed and did the same with the company that insures all of our rentals. Stupidly, I was the only one they had on record even though Jessica is co-owner of all our properties. 2. Write down, in a notebook, the account numbers and contact information of all your service providers (gas, electricity, water, Internet, streaming or cable, and so on). Asterisk or mark any account that is on automatic withdrawal from your joint account and specify which day of the week the funds are drawn. 3. Retirement accounts. Make sure your partner knows the account number (and custodian name) to your 401k, 403b, Roth IRA, Traditional IRA, etc. Hopefully you already designated your partner as the beneficiary. I still have to let Jessica know who to call for one of my Roth IRAs, my 403b, and my CalSTRS teacher's defined contribution pension. 4. 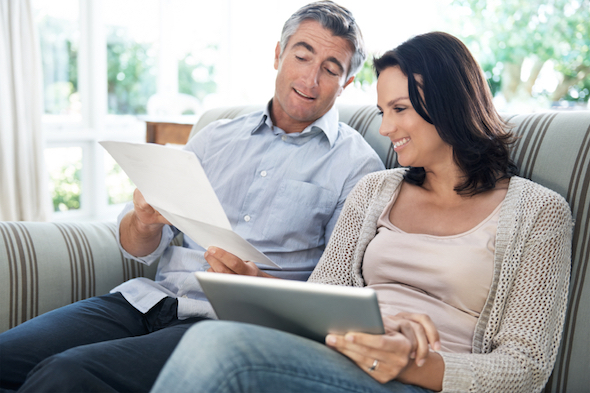 Life insurance accounts. I have two that Jessica has heard about but she has no idea where the policies are located. I think I took pride in taking care of most of our family's financial affairs. It was a gender role I fully accepted and Jessica didn't mind it. But now I realize how incredibly careless this was. I was failing to communicate some of the most important information I had on hand with my wife. Basically I was giving her a ton more work to do in the event of my demise. I don't want her burdened any more than she has to be. It's not smart for one person to handle most or all of the finances. If this is your case, I suggest you share the load 50-50. Split the bill paying duty, and make sure each of you gets involved in the decision making when it comes to your assets. Glad you have had this wake up call! I need to organize my Legacy drawer a little better for my wife, in the same event, that she would know what to do. We have bi-monthly meetings and communicate, but I need to lay it all out there for her eventually! Thanks for the reminder! We are in the joint account boat though and share everything. One thing that did help us on the spending money on personal things fighting was having personal money each month that we couldn't give criticism over. We call it our "blow money". It has really helped us out! The "blow money" is a great tip. I sometimes buy things I need for my bike and it sure would be great not to be criticized over it, lol! Thanks for your comments Steven!